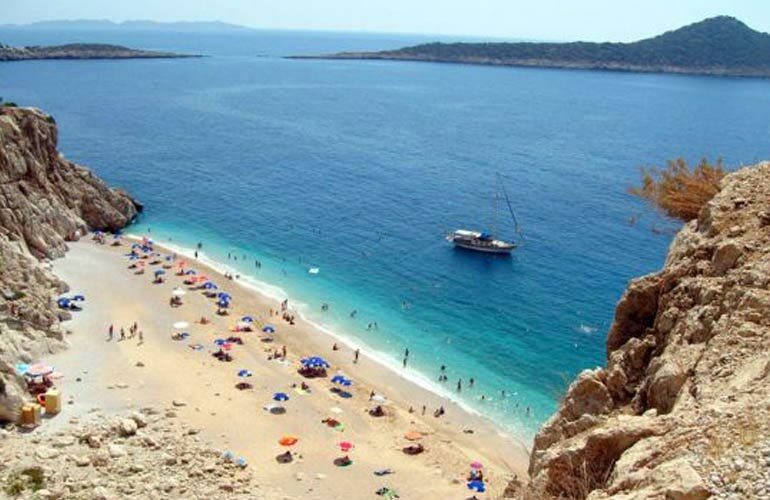 Kaputas beach is on the way to Kas after Kalkan. 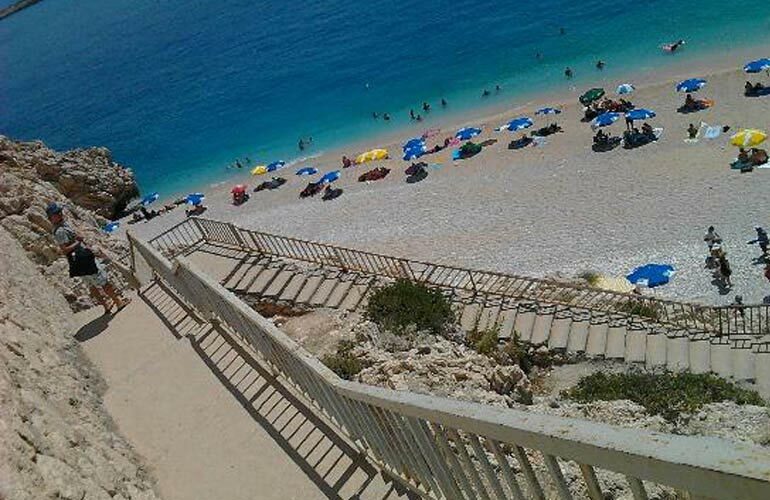 It is small beach which can be accessed with many stairs from main road. 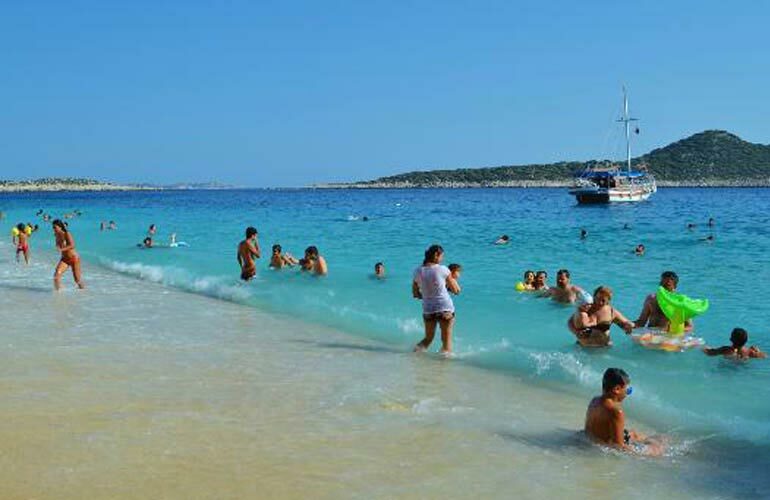 Minibusses which goes to Kas or a privite car can be used to get there. The beach is consist of pubbles and it get deep immidiately. My family and I stayed in Delfin hotel during our mid September vacation in 2013. We had a big family of 8 people and stayed in two double rooms and one family apart. The breakfast in the hotel is delicious and the food in St.Nicholas (same owners) is great. During our trip our toddler got sick and the staff has been very helpful in finding the pharmacy and assisting us. I recommend this place.